While Palestinian President Mahmoud Abbas welcomed the recent passing of UN Security Council Resolution (UNSCR) 2334 as a "moral victory" over Israel, reaction from U.S. congressional leaders, regardless of their political stripe, has been harsh and well earned. That is because it will do major damage to an American ally while giving Palestinians an excuse to avoid direct negotiations. It also gives undo credence to their efforts to internationalize their grievances and avoid making the necessary compromises that could lead to statehood. Enabling the bad behavior and poor choices of the Palestinians, while singling out Israel for condemnation, is not a helpful strategy to achieve peace. Despite claims from U.S. officials that the bipartisan, consistent, and preferred venue for addressing the Palestinian-Israeli issue is the UN Security Council, the opposite is the case. Of the myriad of reasons it has been avoided, one is the well-known, well-documented, and baked-in, anti-Israel bias of the world body. Hillel Neuer, executive director of UN Watch, provides a few examples from 2016 alone. In October, The UN Educational, Scientific and Cultural Organization [UNESCO] "negated its mandate to protect world heritage by adopting a resolution which used Islamic-only terms for Jerusalem's Temple Mount, the holiest site in Judaism, denying thousands of years of Jewish and Christian heritage, religion and culture." Meanwhile, the UN women's rights commission condemned Israel as the world's only violator of women's rights, "ignoring real abusers of women's rights such as Iran, Saudi Arabia, Pakistan and many others." A November 30 UN resolution called on Israel to transfer control of the Golan Heights to Syria. That would be without negotiations and while the Syrian regime of President Bashar al-Assad is slaughtering hundreds of thousands of his own people and the Islamic State is running rampant. In 2016, the UN singled out Israel for condemnation 20 times. By way of contrast, Syria, Iran, and North Korea, were each condemned only once. The institutional UN bias against Israel is so pronounced that even the outgoing UN Secretary-General, Ban Ki-Moon, concluded the obvious in his departing speech just a week before the Security Council passed the latest anti-Israel resolution: "Decades of political maneuverings have created a disproportionate volume of resolutions, reports and conferences criticizing Israel. In many cases, rather than helping the Palestinian cause, this reality has hampered the ability of the UN to fulfill its role effectively." Although Security Council resolutions do not themselves create international law, it does create international precedent and its weight is heavily considered in determining legal obligations under international law. Therefore, the UNSCR provides fresh ammo for states and organizations seeking to single out Israel in a manner applied nowhere else. Take, for instance, Palestinian efforts at the International Criminal Court (ICC). The "State of Palestine" officially became a member of the court in The Hague in April 2015. Their hope is to drag Israel before the ICC as a means to focus attention on their cause, while publicly vilifying, isolating, and prosecuting Israel for war crimes. To that end, the court opened a preliminary probe earlier that same year. Given that the new UNSCR denies the "legal validity" of Israeli settlements, the ICC prosecutor may feel compelled to open a full-fledged investigation or further weigh in on the issue. Will Israelis living in the Jewish Quarter in the Old City of Jerusalem now be subject to prosecution if they land on European soil? The verdict is still out. The one-sided resolution also blows fresh wind into the sails of the international Boycott, Divestment, and Sanctions (BDS) movement directed against the Jewish state. Recently, Israel had built momentum turning back the international tide of unfair practices, including counter-BDS legislation successes at the U.S. state level. Now, the UN is moving to create a list of companies doing business in the West Bank. Ostensibly, the purpose of the list is to "investigate the implications of the Israeli settlements on the civil, political, economic, social and cultural rights of the Palestinian people throughout the Occupied Palestinian Territory," which extends to East Jerusalem, and would "produce a database of all business enterprises" working in the West Bank and the Old City of Jerusalem. The real purpose, however, is to lay the groundwork for international boycotts of Israel and companies doing business there. We will come back to the settlements issue...not only regarding the labeling of settlement products, but pertaining to the boycott of settlement products... We are also discussing boycotting settlers. We must start talking about a black list, at least with the names of the settlers involved in terrorist activities against the Palestinian people to prevent them from entering certain countries. Needless to say, none of these actions bring peace any closer. By unreasonably focusing on Israeli actions to the exclusion of Palestinian's, the Obama administration has done considerable damage to an ally, while giving the go ahead for Palestinian maneuvering that is antithetical to negotiating in good faith for statehood. Meanwhile, the outrage from Congress on both sides of the aisle is well justified. The U.S. pays for 22 percent of the overall yearly UN budget, which comes out to $3 billion annually. It's a lot of taxpayer money spent punishing friends and throwing up roadblocks in the peace process. Senator Lindsey Graham's (R-SC) pledge to propose measures to cut aid to the UN in response to the UNCSR is a start. As are the U.S. House and Senate resolutions that condemn the UN vote and call for both its reversal and for no further action to be taken at the Paris Conference on the Palestinian-Israeli conflict scheduled for January 15. The House is expected to pass the resolution Thursday, with the Senate vote to follow soon after. 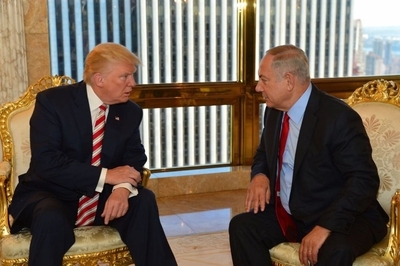 While those sentiments may go a long way to strengthening the U.S.-Israel relationship rhetorically, the problem is that it will have little impact in the international arena. 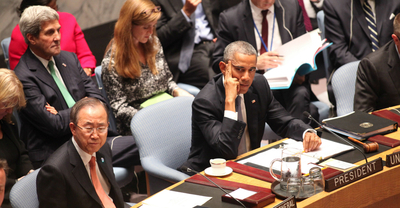 America's options for limiting the damage from the resolution cannot easily be undone. There is no format for an appeal at the Security Council. Nor is there such a thing as a retroactive veto. To put the UNSCR to bed will require a new resolution with the support or acquiescence of the other four permanent members of the Security Council: Russia, China, Britain, and France. That's a very tall order. For the incoming Trump administration to undo eight years of an Obama-imposed impasse in negotiations, he will need to change the rules of the game. Eugene Kontorovich, professor at Northwestern University School of Law, and an expert on constitutional and international law, provides several concrete steps the U.S. can take, including passing several anti-boycott bills from the outgoing session of Congress, as well as clarifying that all U.S. treaties or laws applicable to Israel apply fully to all areas under Israel's civil jurisdiction. As for influencing the behavior and choices of the Palestinians, President-elect Trump will need to change the game there as well. Palestinians chose the path of internationalization and avoidance because they pay no price and Obama offered it to them. That cannot continue. Cynical Palestinian games with international bodies and lopsided UN resolutions that focus on Palestinian demands and ignore Israeli concerns, only encourages Palestinian rejectionism. The President-elect indicated that "things will be different" after January 20. Changing the rules of diplomacy is a good place to start.